Coach Sloth talks to Hoglan students. 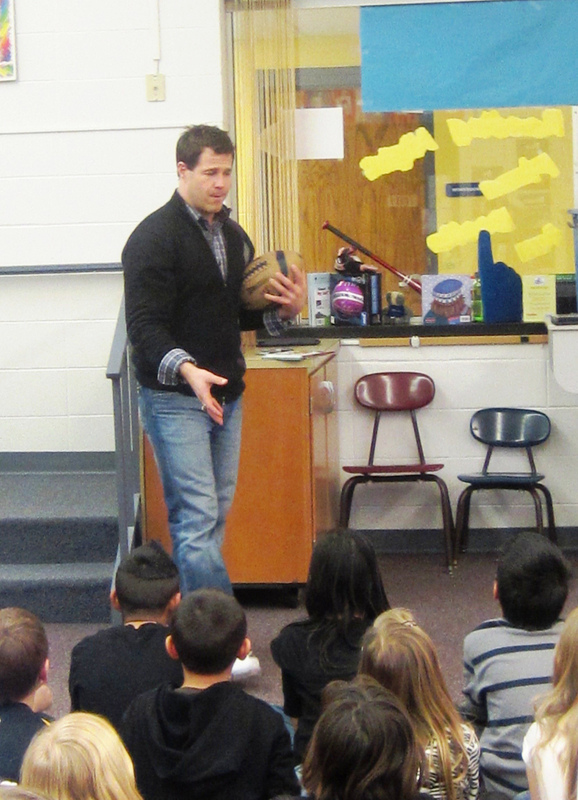 Hoglan Elementary and Team Hoglan hosted author and coach Ryan Sloth during Family Reading Night Thursday, Feb. 23. Over 300 people attended the family event and heard Coach Sloth’s stories He also visited with students during the school day. After his book presentations, he talked with students and families personally, signed autographs. Bobcat basketball and baseball players were also on hand to read to students. Families enjoyed sport games in the gym, pizza, and other sports realated crafts. Each child in attendance was given a free book and other door prizes were given away to Hoglan students. Prizes included balls, Drake University gear, Hoglan gear, water bottles and Iowa Cub tickets. This entry was posted in School News and tagged Hoglan Elementary. Bookmark the permalink.